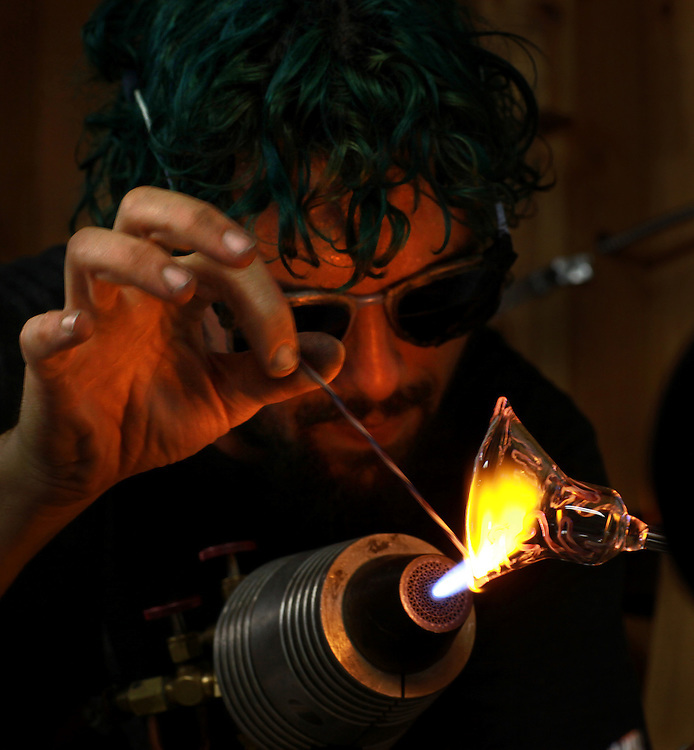 Gremlin of Momentum Glass makes a glass bead in his workshop at the Watershed Building in S.E. Portland. Gremlin has been a tenant for over a month.